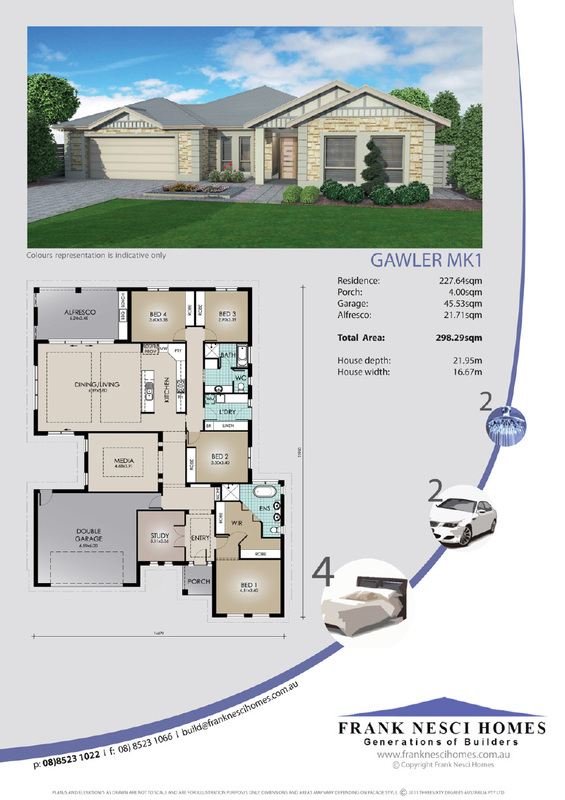 Step into the Gawler MK1 and appreciate the attention to detail that makes this rendered stone-front home a classic. 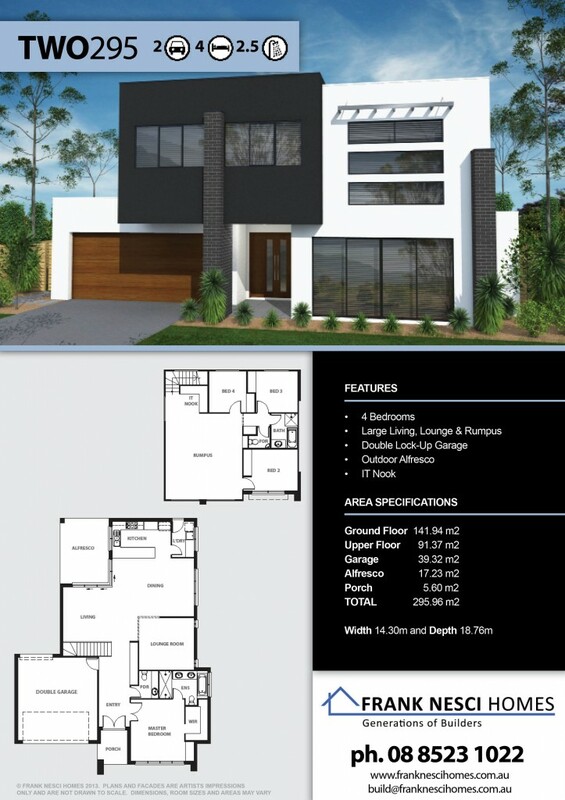 From generous 2.7m (9ft) ceilings featuring decorative bulkheads to stylish timber floors in the open areas, you will love coming home to this elegant four-bedroom design. A double-garage leads into the entrance hall adjacent a private study and stunning master bedroom suite complete with its own bathroom. The designer kitchen is perfect for entertaining, or keep the mess outside in a sheltered alfresco featuring a built-in barbecue. A separate wing with three generous bedrooms, each with robes, is perfect for children and guests. It’s easy to see why the gracious FNH23 is one of our most popular designs. Modern living areas keep the family connected while four large bedrooms offer space and privacy. 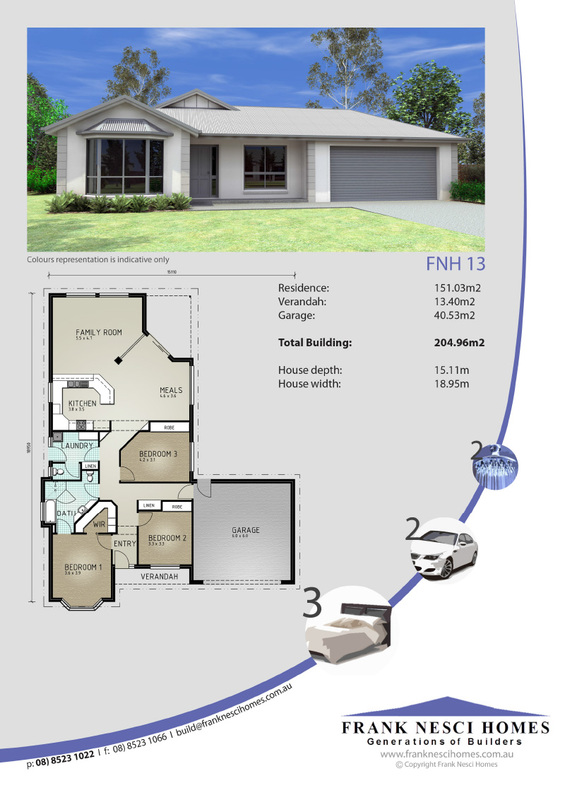 Step in from a grand front verandah to the convenience of a home office and separate lounge. A dynamic kitchen and living area inspires big family cook-ups and extends seamlessly to an undercover alfresco area. The master bedroom suite adjacent a large rumpus room features an expansive walk-in robe and ensuite while the minor bedrooms, three-way bathroom and laundry are bursting with storage options. 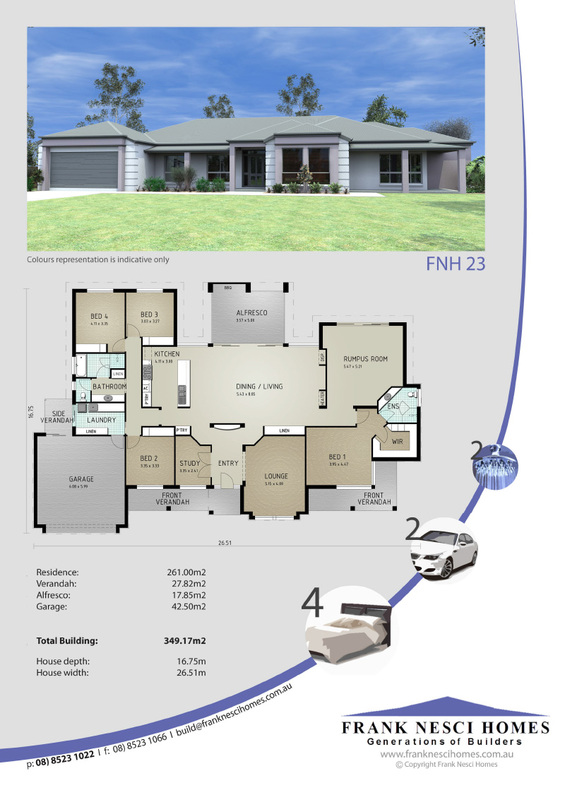 The FNH27’s private entrance hall conceals a stylish three-bedroom home. 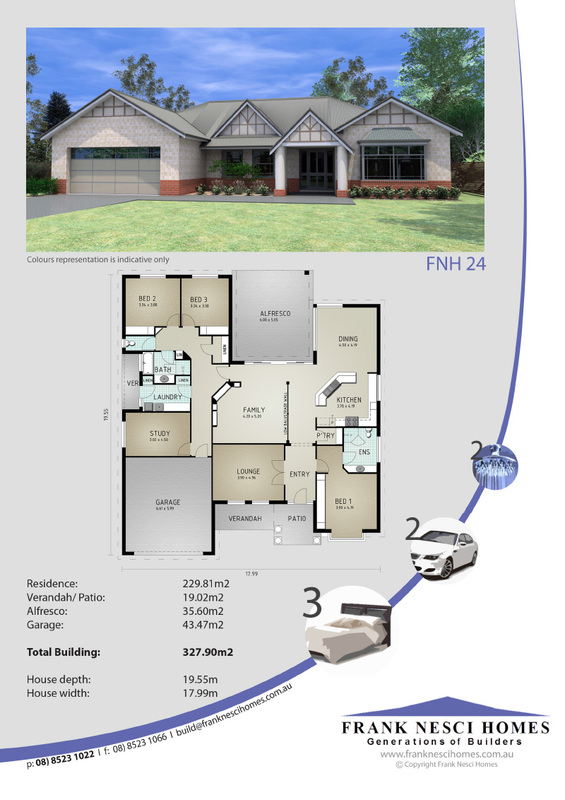 An open kitchen, dining and living area is literally at the heart of this home, dividing a generously proportioned master bedroom suite at the front from two minor bedrooms tucked at the back. A large study is ideal for the home office worker or teens needing to study, while the inviting separate lounge beckons as a quiet retreat. A striking entrance sets the tone for the FNH24. An oversized master suite and lounge leads into two other distinct wings that are tailored to relaxed, modern living. The open kitchen, dining and family hub embraces a sheltered alfresco dining area under the main roof. A stylish half-wall lets natural lighting flood into the living room. Two spacious minor bedrooms include built-in robes while a large study easily doubles as a guest room. Clever storage solutions are evident throughout. A stylish, modern kitchen is at the heart of the FNH22. The double garage leads straight into this cook’s palace – pop the shopping down on the island bench or pack it away in the expansive pantry. The kitchen overlooks an open dining and living space filled with natural light from a wide expanse of glass. The minor bedroom wing features a large laundry with built-in linen closet while the master bedroom and separate lounge are tucked quietly away at the front of the house. 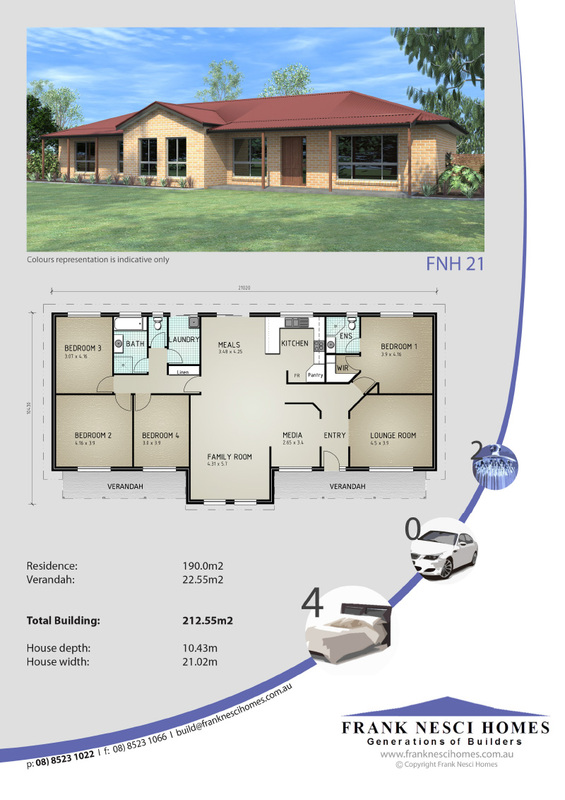 The FNH 21 is a classic country homestead. Generously proportioned rooms are reminiscent of a carefree era when kids were able to spread their wings on vast, sprawling properties. The three minor bedrooms are expansive; the master bedroom has been cleverly positioned on the opposite side of the house near the separate lounge to provide a quiet adult sanctuary. The open kitchen, dining and living area extends into a versatile media room. 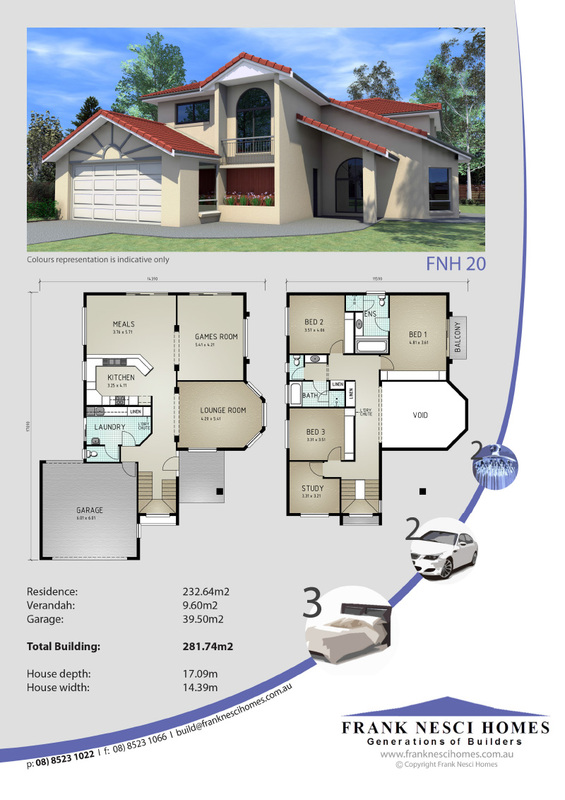 A majestic double storey home, the FNH20 offers an enviable standard of living. Step inside from the double garage at ground level and an entertainer’s kitchen, versatile games room and private lounge awaits. You will appreciate the convenience of a spacious laundry with upstairs chute and adjacent powder room. 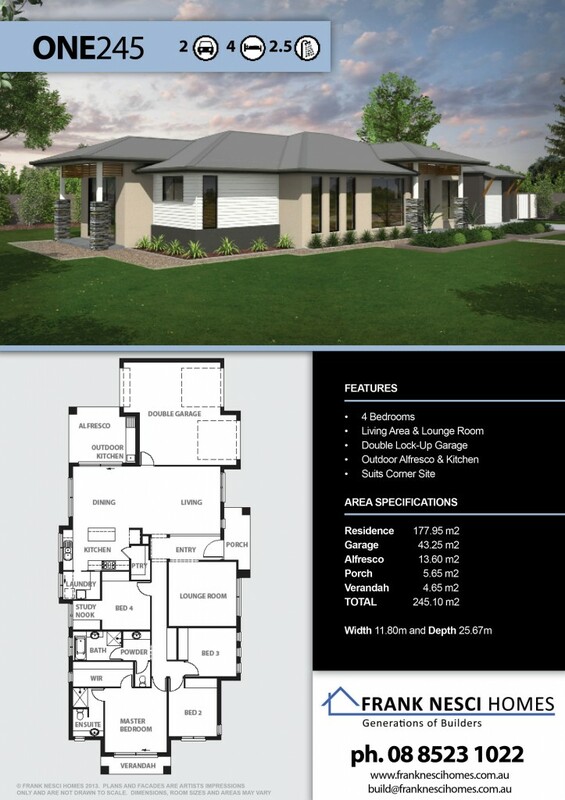 When it’s time to unwind head upstairs to the luxurious master bedroom complete with ensuite spa and outdoor balcony. Two double sized minor bedrooms, a luxurious three-way bathroom and study area are ideal for children or guests. 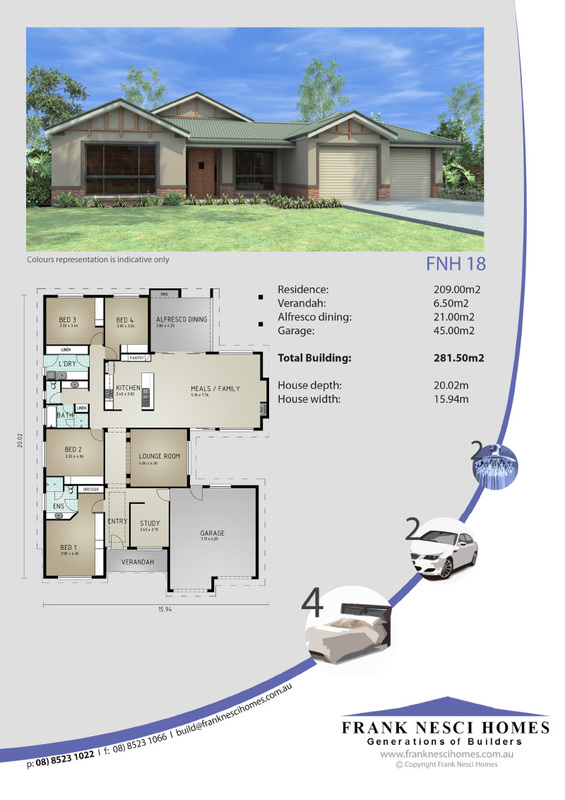 The FNH18 is a beautifully designed family home. Modern and stylish it features clever touches to delight and impress. The master bedroom suite incorporates his and hers wardrobes and is just across the hall from a private study. Create an impressive home theatre in the separate living space, which overlooks a secluded courtyard. Open-plan living at the rear extends effortlessly into an undercover alfresco area with built-in barbecue nook. The FNH13 is refreshingly unique. 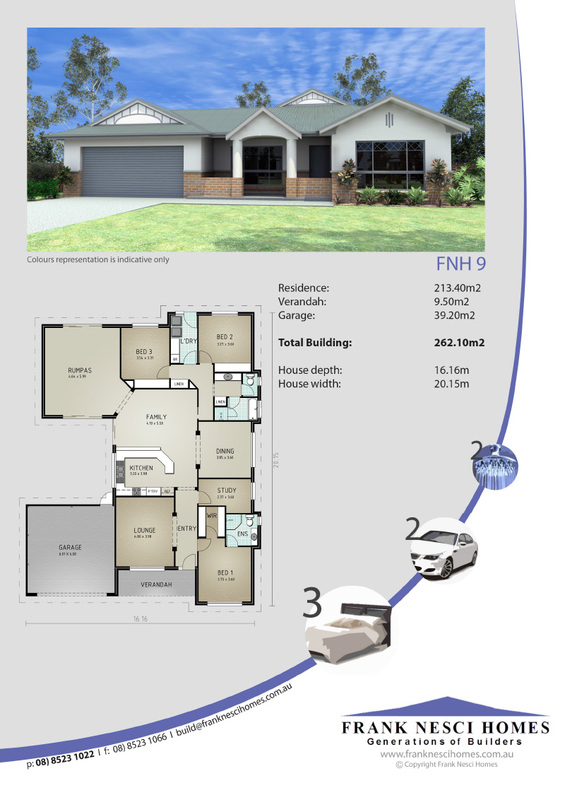 This delightfully spacious home has employed clever design techniques to maximise space, resulting in a sumptuous master bedroom suite and a roomy living area. 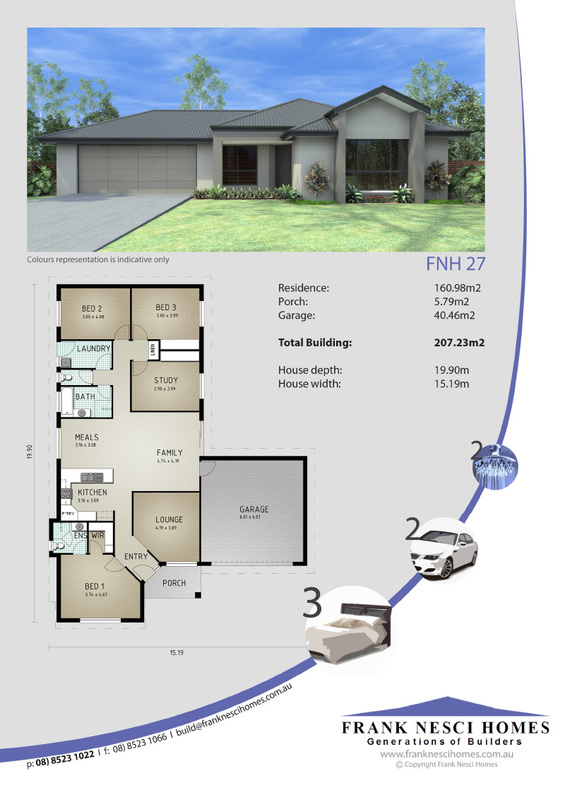 Practical touches such as direct entry from the double garage and an impressive two-way bathroom make for relaxed, comfortable living. 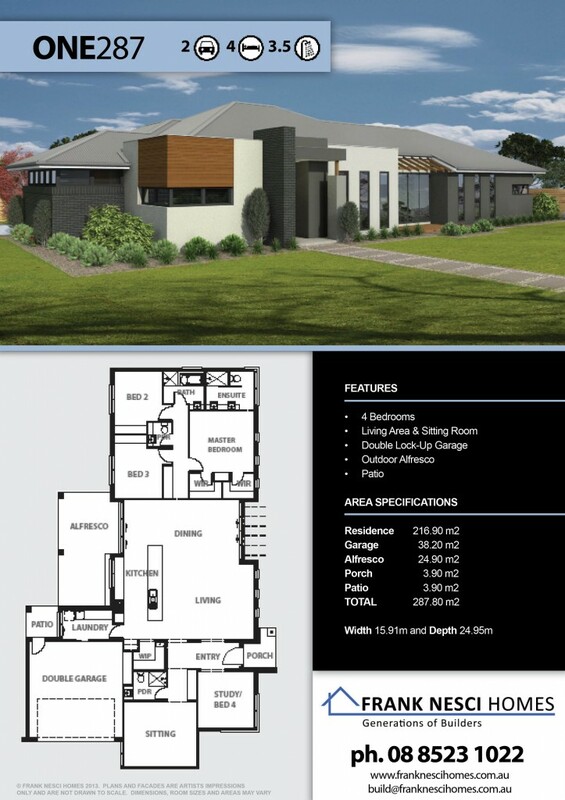 The distinctive open-plan living area is light and welcoming. Spread your wings in the FNH9. An oversized rumpus offers great versatility for growing families. Throw in some comfy couches, an elegant grand piano or create your own arcade with a retro pin-ball machine or pool table. Two separate sleeping zones create privacy for a spacious master bedroom suite that boasts a walk-in robe with hanging options on both sides. Tidy up any work projects in the study or entertain in style in the dining room. 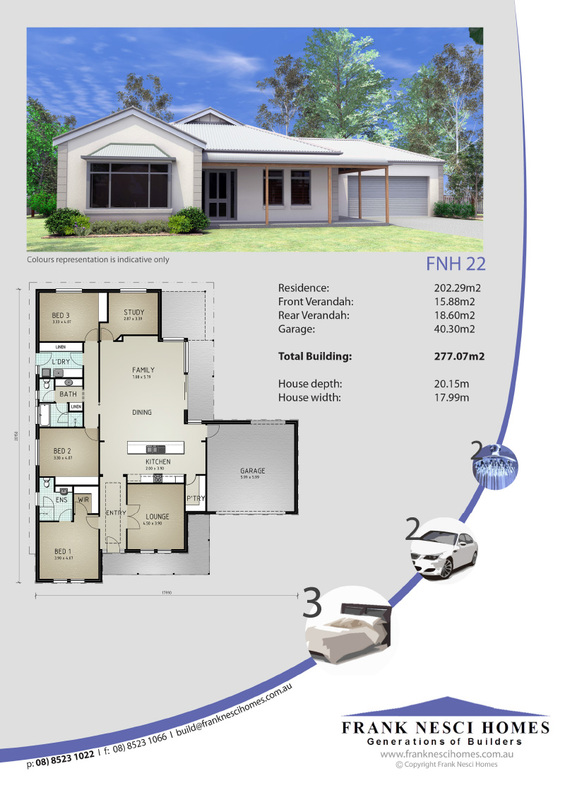 The FNH8 is a perfect family home. 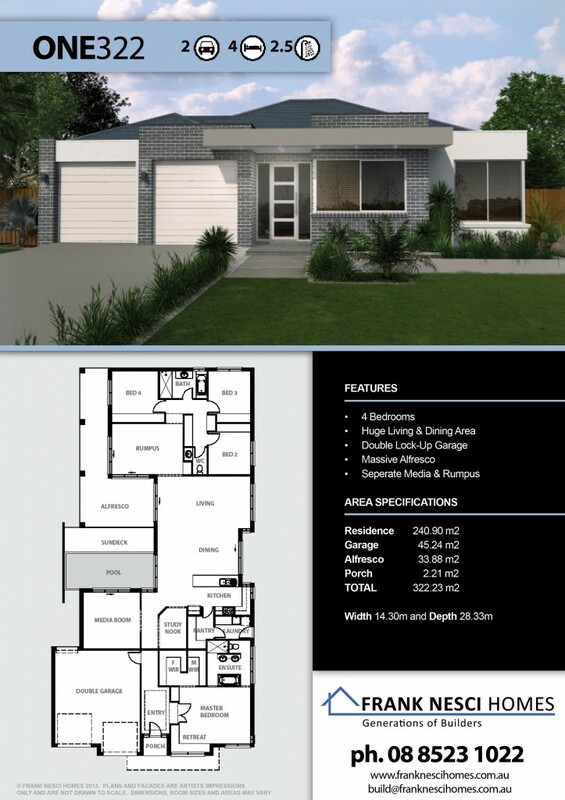 Three bedrooms, two bathrooms, study and separate living area provide a sanctuary for every member of the household, be it for work or pleasure. Stock up the large pantry and unleash your inner Master Chef in the contemporary kitchen or pull open the French doors and relax over a morning coffee in the private lounge. 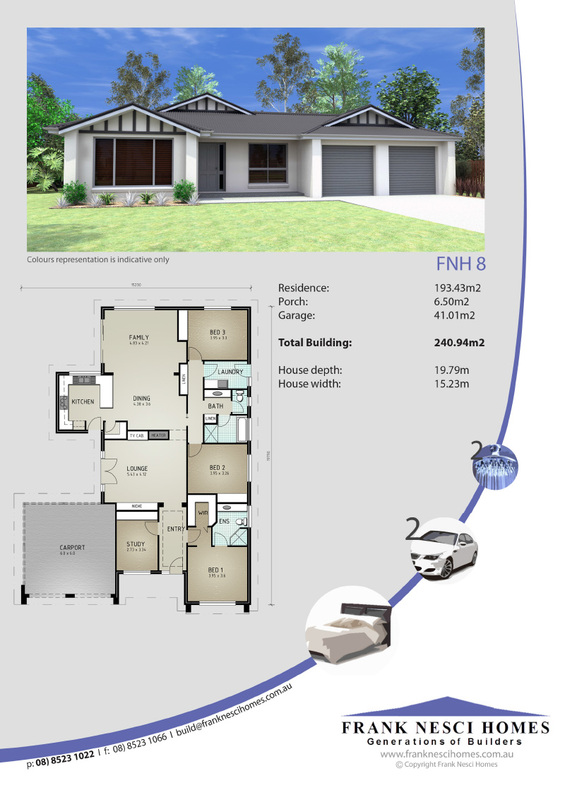 A double carport and clever storage solutions feature in this appealing, value packed design.